I'm following this thread with great interest. Not so many (good) mapping options available for the CSI. Hope you finally succeed. Hopefully I should get some time to test again on the dyno. I still think going back to OEM spec exhaust but without CATs would be the best option but will wait and see how it goes. 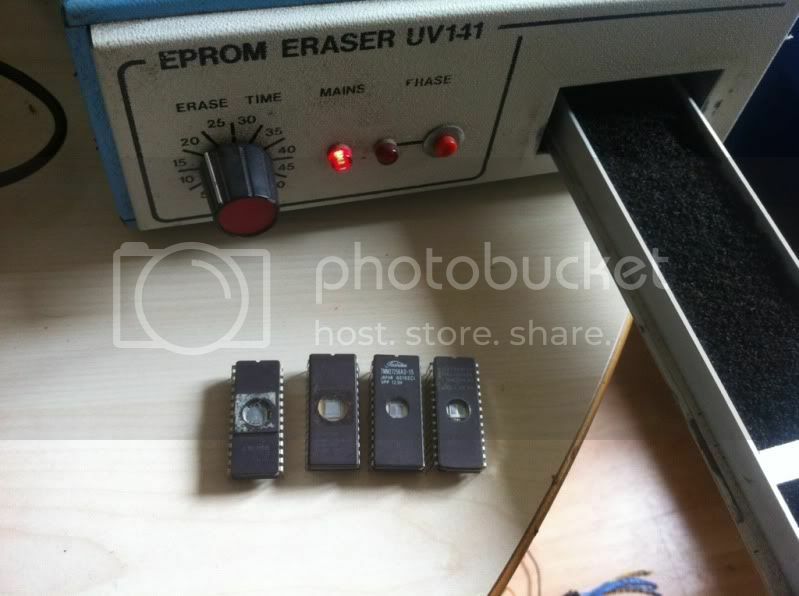 First you need the correct size/speed EPROMs and an EPROM eraser. 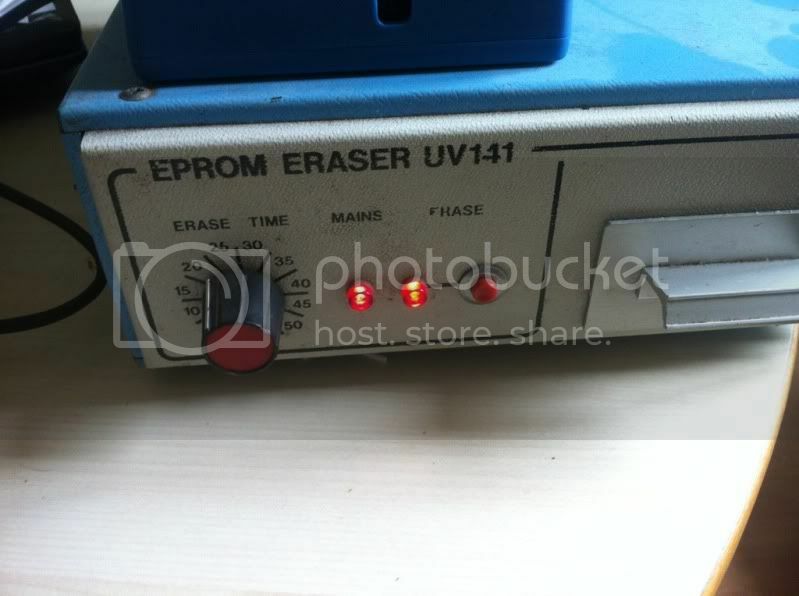 The eraser uses ultraviolet light to set the chip back to its blank state. to blank, some may not blank at all. If they don't blank then they are junk. Open the software and select the chip type, making sure you have the correct programming voltage...check data sheets online. 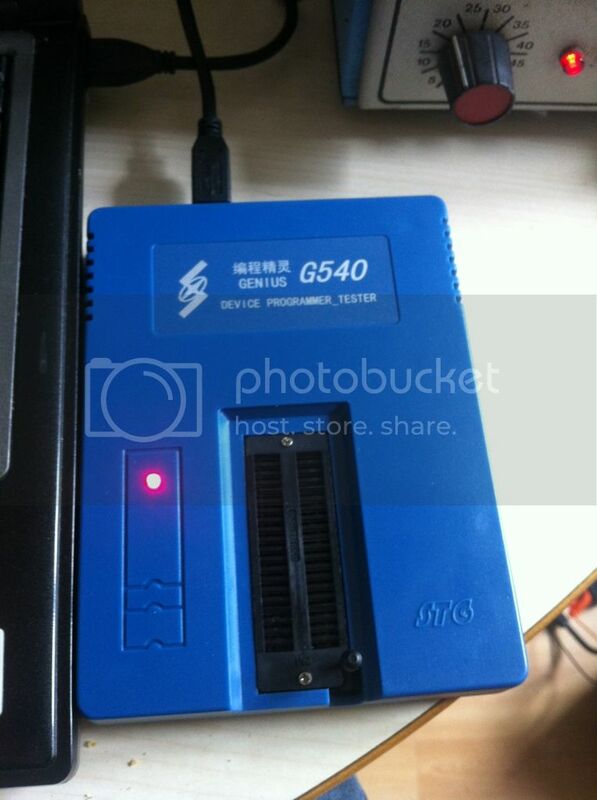 Once you have that done, select the file you want to burn to the EPROM. Make sure you tick the .bin file as type or it won't load. Once the EPROMs are ready for programming, place them in the programmer (one at a time ) . Try reading first to make sure the EPROM is blank all the way through. Sometimes you get the odd stuck bit, if you do, erase it for another 15 minutes and try agin. Once it's blank and you have your tuned.bin file loaded, hit program and wait for it to burn. It doesn't take long. Once burned verify the checksum is the same as the file you have loaded. If for some reason the checksums don't match, try running the program step again until it matches. If the USB voltage is low it can take a few attempts to burn. Emulators unplugged and tuned chips installed. Running very well. I'm looking for a standard CSi exhaust system so that I can Make a comparison run on the dyno. Sounds good. Its going to be hard to find a used OEM exhaust system. I want to try stock size pipe, resonator fitted but with straight through back boxes.....I think that will give the best results. 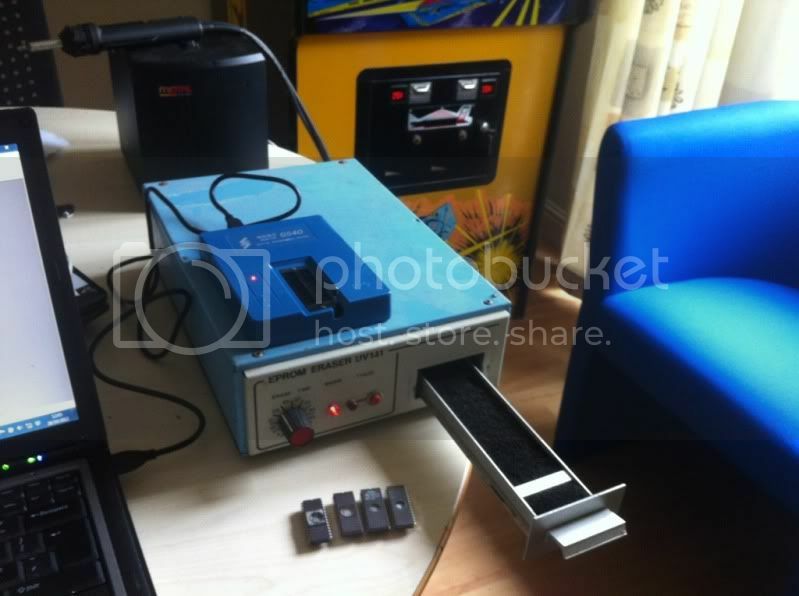 Last edited by Omega man 1969; 11-05-2012 at 09:28 AM. Sorry, I don't understand your statement. Live tuning has been done on the road not the dyno. If you are comparing a company with large amounts of cash to a " home" tuner then there is no comparison. However, there is no verification of 475 hp (354 kW) produced by this car by Racing Dynamics. The K55 produces 380 hp (280 kW) and 405 ft·lbf (549 N·m) of torque as listed in the 02/1994 Euro car magazine. Racing Dynamic's own website lists the K55 at 401 hp (299 kW). Was just thinking about this.. Have you considered trying to create a tune for E85? AFR = 9.76 stoich (part throttle, up to 11.6 at WOT) and you can get away with some pretty aggressive timing..! EDIT: Wait.. you don't have E85 in the UK? Last edited by 4drian; 11-08-2012 at 06:47 AM. 9.6 AFR ? Are you sure ? Yes, but the extra fuel is negated by the lower price of the E85. If you have a normally aspirated engine running 9.6 AFR then something is seriously wrong with the injection system, it must run like crap. Right sorry for the confusion yes it would be possible to remap an m70 or s70 using the stock DME's, larger injectors maybe needed.....you may get away with winding up the fuel pressure and increasing the duty cycle but the injectors are small. Ignition advance would be easy enough to remap but I'm not sure about the existing lambda sensors and how they would react, I would imagine they would be fine but they may need to be disabled or have wide bands fitted and create your own output curve to keep the DME happy. I doubt the intake fuel pump rubber would be very happy or other parts of the fuel system having 85% Ethanol pumped through it.....hopefully the plastic tank would be ok though. It's totally doable, but unless you plan on doing a serious amount of miles, I think a lot of hassle. Isnt the compression of the s70 similar to the m73? Ah right like you said, not readily available here + plus the problems involved etc. My immediate plan right now is to fit a quiet but free flowing exhaust. I'm going to log the throttle plate movement tomorrow in relation to the pedal, it will be interesting to see how it turns out. I heard full throttle isn't reached below a certain RPM....I think that's wrong though. Did something new turn out regarding the throttle? bloody English Weather. Did a little 20 to 80 mph video comparison with a friends Accord type R. Will post it up shortly. We planned on 0 to 80 but the starts were different.